Bitcoin is an open source project created in 2009 by Satoshi Nakamoto, a very mysterious character no one seems to know much about. Bitcoin has been described as the most revolutionary technology since the creation of the internet. It is the first decentralized digital currency that operated on a decentralized network, and it has the power to impact our world in a powerful way. Bitcoin technology allows for instant transactions over the internet. It's highly desirable because you don't need to rely on a middle-man for transactions, you can make very quick transactions to anywhere in the world, 24 hours a day, 7 days a week, 365 days a year. There is no central financial institution that issues currency, it is without a central point of authority or control. You can make as many new Bitcoin accounts as you want, it only takes seconds to generate a new address. Transferring bitcoins is as simple and as fast as a few mouse clicks, but the speed of a transaction will depend on the transaction fee and other factors. Very small transaction fees help process payments quicker, and are typically optional and/or adjustable. However, you do not require an intermediary entity to make payments, so you will avoid all those fees. Similar to BitTorrent, Bitcoin makes use of a P2P network that manages transactions. This decentralized approach makes Bitcoin very robust and durable. Most importantly, you don't require an intermediary entity to process payments, it's directly peer-to-peer; this quality is the reason people some times call it "digital cash". It also means there is no central bank to control or influence the production and value of the Bitcoin currency. Bitcoin was designed as a limited quantity digital commodity, the number of bitcoins that can ever exist is limited, once the "miners" have created all the possible bitcoins, generation of new currency will halt. 21M BTC should exist by the year 2140, but most of it will exist by 2033. That may not seem like a lot, but bitcoins are divisible up to 8 decimal places (and that can theoretically be further increased). The security and integerity of the network is also managed in a decentralized fashion by keeping track of all transactions in what we call the "blockchain". This is a fairly complex process, but put simply it relies on the premise that an attacker cannot gain enough computing power to overcome all the legitimate nodes, and even if an attacker does manage to gain that much power they are still extremely limited in what they can do because the blockchain is like a pyramid of trust, each new block in the chain makes it harder to manipulate the blocks before it. Why do people even use bitcoin? How do bitcoins get their value? First we must consider how new bitcoins are put into circulation. But before that think about how new money is created in the United States. The FED just prints some money. Well actually they just change a few numbers on a computer now. New Federal Reserve currency can be created very cheaply and easily. Bitcoin is not easy to create and not cheap to create either. It takes a lot of computing power and a lot of electricity to create each coin. If bitcoin was to drop to zero suddenly, all the energy used to create them would have been burnt up for nothing, and it is massive amount of energy used at this point. People pay "real" money for electricity. It's not like the entire system is just floating on thin air, but it's also not like you could exchange your BTC back into electricity either. So the power used to generate them is not exactly a backing or standard for Bitcoin, but it is something tangible and it's obviously better than being able to create new currency for virtually no cost. The most important property of any currency is scarcity. If you can just create new money out of thin air at no cost it completely defeats the point of what money is supposed to be. Mining Bitcoins is the process used to generate new bitcoins, it utilizes a significant amount of energy and time, and that does effect the value of each BTC to a certain extent. However in actuality their real value has a lot more to do with the supply and demand of bitcoins. Demand will increase as they become easier to acquire and exchange, and as the level of acceptance/usability increases. In 2140 after all the bitcoins are generated, it will only be possible to mine for transaction fees. There is a demand for bitcoin simply because they are useful and have many properties that other currencies lack. Some of those properties are listed above in the last section. Even though no one is forced to use bitcoin like Government fiat money, people still choose to use bitcoin because it can offer them certain advantages compared to most other currencies. This demand for bitcoin will affect the price. An increase in demand will push the price higher unless the money supply increases at a rate faster than the increase in demand. A lot of people say that they would rather invest in gold or other precious metals because they're something tangible which they know cannot vanish into thin air all of a sudden. At the end of the day bitcoin is experimental software and there is no safety guarantee, it's possible that the network could be compromised in unforeseen ways and totally collapse. This is the risk we must take with bitcoin and other similar virtual currencies, however small that risk may be. If you don't want to take that risk it's completely fine, no one is forcing you to use bitcoin. However it's also important to understand that precious metals aren't entirely safe either, for example we may discover a way to easily create gold in a lab and then it would become just like printing paper, or we could find a huge amount of gold on a nearby planet. While it probably isn't a good idea to put your life savings into bitcoin, there's no harm in diversifying your portfolio and investing a little money in bitcoin and precious metals. Most people who own bitcoin are the types of people who also own gold and/or silver. In fact the whole point of having currencies like bitcoin is to open up the currency market and provide alternatives to the Government fiat currencies. It's about having more options beyond the Government approved options, to provide competition to those other currencies. It's even important to have other virtual currencies which compete with bitcoin. The point is not to give bitcoin the monopoly on virtual currencies, but to provide alternatives and competition to the crappy currencies we are forced to use. At the end of the day the best currency will prevail. Bitcoins can be stored on your PC in a file referred to as the wallet but can also be kept with other 3rd party wallet services. Just like the huge wad of cash hidden under your mattress, the wallet file must be protected by the owner. Usually encrypting the file should do the job, making some backup copies of your wallet is also a good idea. There is a virus which will steal your Bitcoin wallet, but there are also trojans and viruses that will steal your passwords and online banking information. It's up to the user to keep their digital wallet safe. It's just like if you leave your physical money unprotected and don't take the proper precautions, it is open to thieves. Physical cash can still be stolen, you can't encrypt the money in your pocket either, making it virtually useless to thieves and viruses. As you may know, the Bitcoin network has been in operation for several years now, it has had many up and down moments but it has survived through thick and thin, overcoming all the obstacles thrown at it so far. The idea has proven its self as a solid working idea, because it has been working just as Satoshi envisioned it when he first designed the system. Thus it's safe to say the basic idea has been technically demonstrated and proven. Technically, Bitcoin is what we would call a "cryptocurrency", it incorporates concepts used in cryptography. Due to the methods employed, programmers believe that the chances of Bitcoin ever being broken are not very high. Any type of hacks at all is very unlikely because Bitcoin uses well tested cryptography. If it is broken, much of the internet will be broken too. It is an open source project, and anyone can view the source code. Open source also means that anyone could theoretically become part of the coding team and make alterations to the software. The source code of Bitcoin is heavily monitored, and you will only see new releases after they have been carefully verified, but you should always still wait a while before upgrading your client. Isn't Bitcoin used by criminals? Yes, Bitcoin can potentially be used by criminals for questionable reasons, but physical cash has been used in the same way for decades, and can be exchanged with no money trail what so ever. There are records for every Bitcoin transaction, it's just hard to attach an identity to those records. The mainstream media and the Government always seems to focus on these negative points of Bitcoin, while ignoring all the points which really matter. I think we all know what that means. You may also hear a lot about how Bitcoin is useful for laundering money because of the anonymity it provides. There are all sorts of concerns in this area, reiterated by many entities including intelligence agencies who have studied Bitcoin. What they really should be concerned about is how our large banks in the current monetary system are being used to launder vast amounts of money. For example HSBC was charged $1.9B for laundering billions of dollars through their bank recently. They are simply worried that something like Bitcoin could challenge their own centralized criminal monopolistic banking system. If you feel worried about any of these organizations attacking the bitcoin network, there's not much to fear. Bitcoin is built on a resilient P2P network partially for this reason. P2P networks like Bitcoin or BitTorrent are extremely hard to take down. The network can become as powerful as we decide to make it. It all depends on how far people take it. One of the main attack vectors used against Bitcoin will be it's ability to accommodate illegal trade. Bitcoin is inherently anonymous, or rather pseudonymous, it's just not completely safe for criminals, and the degree of anonymity really depends on how much trouble you go to in order to hide your online identity. Bitcoin exchanges are essentially the weakest point, because you'll need to utilize banks or other financial institutions. What if Bitcoin is a "NWO" electronic currency? Conspiracy theorists have for a long time suggested that the elite bankers of our world will at some point decide we need to implement a world wide digital currency designed to track our every transaction and tax our every move. Although all bitcoin transactions are logged in the block chain, it's hard to know who owns an address. Especially when it's possible to generate a new bitcoin address when ever you want (within seconds and offline). As mentioned in the last section, it's not perfectly anonymous, but it's certainly 100% more anonymous than a NWO electronic currency would be. It's also 100% harder to create out of thin air than a NWO currency would be. Not to mention 100% more decentralized and harder to manipulate. Bitcoin is certainly not some sort of NWO globalist currency designed to track your every transaction, Bitcoin is designed to make sure that no central authority can try to manipulate the currency and screw us over. Don't be misled, many aspects of Bitcoin directly challenge the status quo, and that's why the mainstream media constantly spews nonsense about the nature of Bitcoin. Is it viable as a long-term currency? Because only so many bitcoins can exist, people often worry they can get lost over time, or that a few entities might gain and withhold a large amount of bitcoins, but the value of Bitcoin will always adjust according to the total size of the circulating money pool. Bitcoin has a precision of 8 decimal places, so even with a very small amount of bitcoins in existence, the value can still adjust accordingly. Thus ensuring sufficient granularity of the money supply. Since each bitcoin can be divided by 8 decimal places, it's possible to send 1 or 0.1 or 0.01 bitcoins or even lower amounts. I could theoretically send 0.00000001 BTC, although it's not really useful for such micro amounts yet because the transaction fee will be larger than the amount sent. It should also be noted that the system is completely capable of handling many transactions at the same time. In fact the network could theoretically scale beyond the level of traffic VISA sees globally today. How can I know Bitcoin isn't a scam? It is true that the early adopters will benefit a lot more than late comers, but that is true with almost anything. Business ventures always benefit the early adopters, the first people to mine gold benefited more because it was so easy to find. To label bitcoin a scam for such a reason is completely absurd, because it would suggest almost everything in our society is based on a scam. The early adopters always have to take a larger risk, and thus they are better rewarded. Also, just because it is "virtual" doesn't make it less valuable than physical money which you can hold. The majority of "normal money" is actually stored on computers anyway, and all money is actually stamped with various codes and numbers which are stored on computers. The paper it is printed on is simply a way to let you make transactions, but most present day transactions can be done with plastic cards anyway. 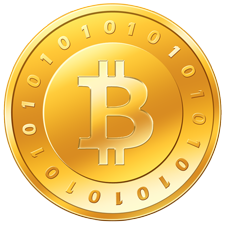 Bitcoins can be and have been stored on electronic cards. Isn't mining new bitcoins equal to inflation? The network is designed to release "rewards" to miners who help compute transactions, the rewards are released at periodic moments in time. No one can change the rate at which bitcoins are created, no one can choose to create bitcoins when ever they want, they must dedicate their computing power to the bitcoin network (which in turn makes it stronger) and "mine" for rewards. Most importantly however, once all the bitcoins are created no more will be created, the limit is 21 million bitcoins. You can think of this is as the production period, this is the way in which we are slowly releasing bitcoins into the system via a method which gives everyone a chance to get some, and it's done in a way which requires work to be done (highly complex computer calculations), they aren't simply created as easily or as cheaply as printing out some pretty paper notes. Also worth noting is that the rate a which bitcoins are created is very slow as to ensure inflation levels are low or non-existent. Keep in mind that gold is still being mined from the Earth, and we will one day reach a point where there's virtually no gold left to mine. Bitcoin is almost exactly the same. The network is programmed to increase the money supply as a geometric series until the total number of Bitcoins reaches 21 million BTC. As you can see in this graph it gets harder and harder to mine new BTC as time goes by and more and more bitcoins are put into circulation. There's already over 12.5 million bitcoins in circulation, but we have a while before all the bitcoins will be created. Many people believe bitcoins are a great investment because of their limited nature. However, it's still not as easy to buy and sell things with bitcoins as it should be. Increased Bitcoin commerce and trade will stimulate the Bitcoin economy, which is a critical thing at this point in it's life-cycle. If the bitcoin economy remains overly stagnant it will lead to problems. Once all the bitcoins are put into circulation we still need new blocks to continue to be generated. Keep in mind transactions are mostly secured by miners who are rewarded with new coins when they dedicate their power to the network by solving blocks. This means that when the block reward reaches 0 miners will only get rewarded with transaction fees. This presumably would lead to slightly higher transaction fees, but it's not expected to cause any serious problems.